Aside from the fact that it’s fun to say, “adobo” is one of those food terms that can be confusing. You’ve heard it in reference to a sauce and a spice… a verb and a noun. What exactly is going on here? Adobo is a cooking technique, therefore it’s also the name of a dish. As mentioned above, it’s a traditional Philippine dish, usually Adobo Chicken or Adobo Pork. Adobo is prepared using pantry basics, like white vinegar, soy sauce, garlic, peppercorns, and bay leaves, to create a marinade. The meat is marinated in this mixture overnight, then simmered in the same marinade on the stove top until the meat is cooked through. A signature of the cooking method is that after the chicken or pork is simmered to perfection in the sauce, it’s usually browned in oil before serving. The adobo cooking technique is thought to have originated during pre-refrigeration times, in an attempt to preserve meat by cooking it in vinegar and salt. Though in modern renditions, the salt has been replaced with soy sauce. There are endless variations stemming from this Philippine classic. In Caribbean cooking (think Puerto Rican and Dominican), adobo usually refers to a seasoning mix rubbed on meats before cooking. There are wet and dry versions, containing similar ingredients. The most popular version is the dry seasoning mix, made from garlic powder, onion powder, oregano, salt, pepper, and sometimes dried citrus. 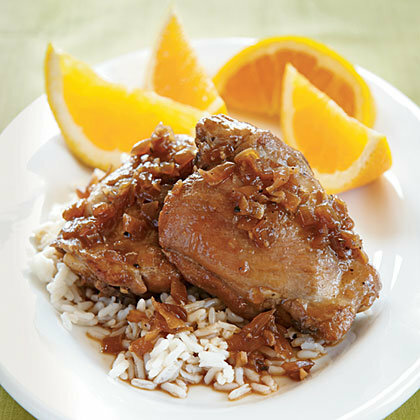 The idea of adobo flavoring has been adapted and developed commercially. Brands such as McCormick sell an adobo seasoning blend, and Goya carries 8 varieties of the spice mix. A general takeaway here is that the term adobo designates powerful, vibrant, crave-worthy flavor in all of its iterations. And understanding the distinctions between those iterations makes you a savvier shopper, orderer, and cook. So go forth with confidence; if nothing else, you know what adobo means. This article was written by Hannah Burkhalter from Food & Wine and was legally licensed through the NewsCred publisher network. Please direct all licensing questions to legal@newscred.com. Shortcut your way to authentic Adobo taste with McCormick® Adobo Seasoning with Pepper or McCormick® Adobo Seasoning without Pepper. Sprinkle directly onto grilled meats or vegetables for mouthwatering flavor your whole crew will love.